Wow. Considering the fact that for the past several hours, whenever I think about the fact that Mana Leak has been confirmed in M11 I’ve been pretty much speechless, I probably shouldn’t be attempting to write about it. Nevertheless, I’m going to tilt the pitcher and see what pours out. First off, we haven’t seen Mana Leak in Standard since 9th Edition rotated out in 2007. 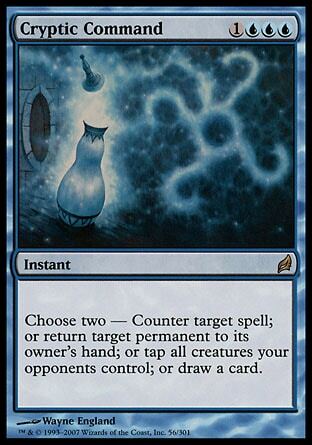 Back then, it was often seen hanging around with cards like Compulsive Research, various blue Signets, Mystical Teachings, and the Pickle twins, Vesuvan Shapeshifter and Brine Elemental. 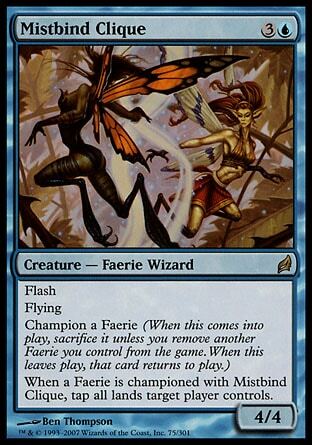 There was no such thing as a Planeswalker card. 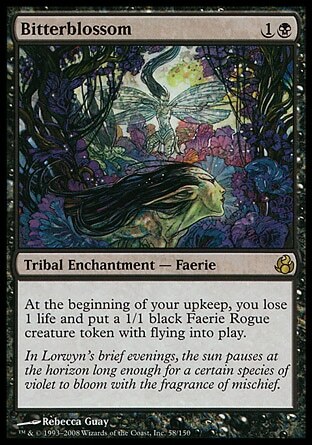 By the time Lorwyn hit the scene, Mana Leak had been gone for nearly three months. But us, now, in 2010? We could really use a Mana Leak. 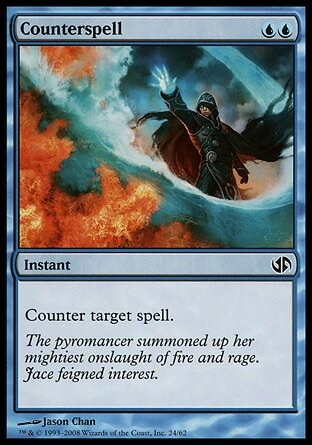 Counterspells nowadays are either incredibly narrow, terribly situational, costed too highly, or some combination of the three. What used to be Scion of Oona is now Hindering Light. Alongside Deprive, blue mages now have a realistic opportunity to play a GOOD counter-suite. In the early game, Mana Leak is essentially Counterspell; and in the late game, Deprive fills the same role. The question now becomes whether it is worth it to counter a spell in the current Standard. We’ve become overrun with creatures and planeswalkers as of late. Generally, we’d rather deal with creatures in another way (Day of Judgment, instant-speed spot removal if necessary) since we have ways to remove them after they’ve hit the table, and summoning sickness gives us the opportunity to do so without giving the creature a chance to make an impact. The exceptions to this are creatures with haste and those with enter-the-battlefield abilities. So, what creatures are we seeing in Standard that would fall into those categories? Wall of Omens, Sea Gate Oracle… Do you really want to spend a counter on those? Sphinx of Lost Truths, sure, that’s one I’d counter. Ranger of Eos, too. Bloodbraid Elf? No. And as much as Mike Flores wants me to “admit” it, I do not want to counter a Vengevine. Okay, so that leaves Planeswalkers. 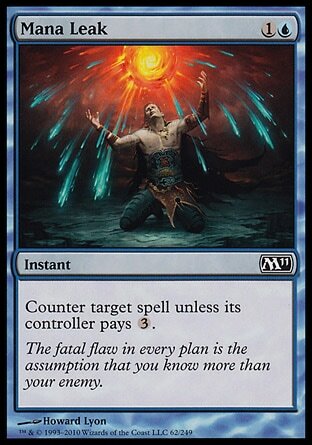 I am perfectly happy spending a counterspell on a Planeswalker, as even though it seems like a one-for-one, we all know the card advantage that ‘walkers provide. But if the only spells worth countering in Standard are Planeswalkers, wouldn’t it be acceptable to just run Negate and take the risk of facing the occasional Sphinx or Ranger? Why do we “need” Mana Leak? The truth is, permanents—creatures, specifically—have become so powerful that even “good” counterspells have lost a step. We need our counters to be versatile or they’re not worth running at all (see also: Standard). I’m beginning to wonder if that hasn’t been Wizards’ plan all along: Weaken the counterspells, then make creatures better and better until “classic” counterspells are balanced. 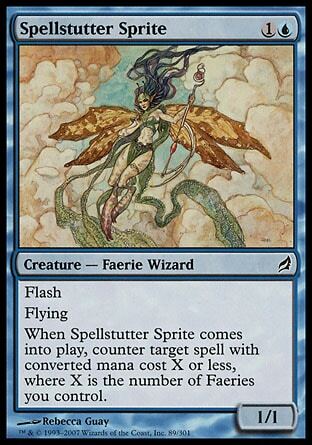 Are we reaching a point where Counterspell itself would be a fair card to reprint? Think about it. No one expected Lightning Bolt to come back. (Hell, I remember being excited to see Incinerate come back in Tenth Edition!) Creatures were pushed to a degree that made Lightning Bolt no longer the powerhouse it once was, hence the return of the most classic burn spell ever printed. Is it so crazy to think that perhaps Wizards is pushing the game to a level where Counterspell is balanced? Be sure to check out the latest episode of Yo! MTG Taps! over on StarCityGames.com!